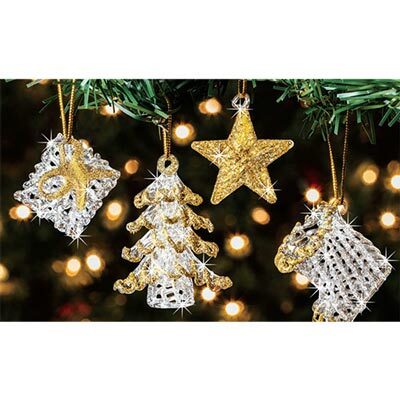 Classic holiday Handblown Glass Ornaments shine with golden glitter accents. Handblown gift, tree, star and stocking include golden cords for hanging. Set of 4. 1¼-2¼"h.